San Genesio in summer – The sun smiles and you smile too! We actually benefit all year long of a real blessed climate. But during summer this is for the tourists the most beautiful period. 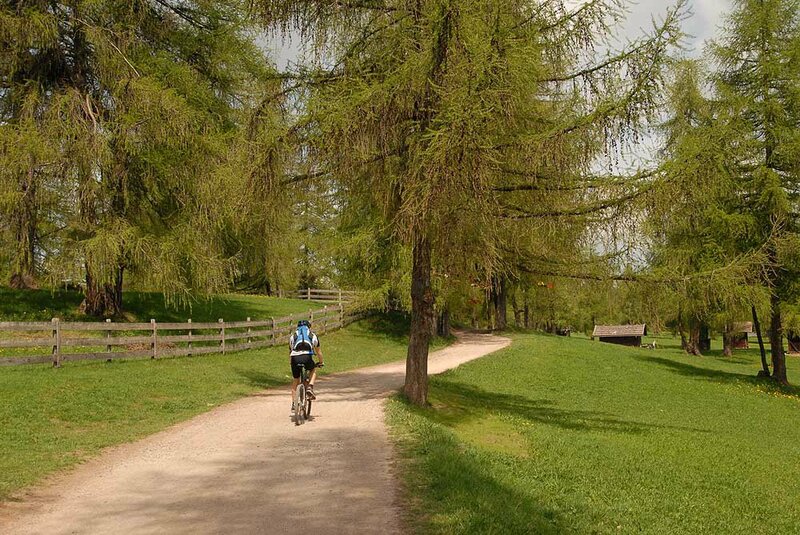 The variety of activity is fascinating: climbing lovers can prove their capabilities in the alpine world of the steep Dolomites peaks, while excursionists and riders cross the green larch meadows on the Salto high plateau. The thermal town of Merano invites its guests for a tour and for a walk along the promenade. The fact that Bolzano with its many destinations and summer events is so close to us, is also a good reason to spend the summer with us in San Genesio. You will reach the vibrant and colorful Bolzano along a panorama road in ten minutes by car. Restaurants, bars, theater, you will find everything there. Also the sophisticated Merano or the pompous bishop town of Bressanone invite for a tour. Everywhere nearby there are romantic castles, vineyards which are a visit worth. The botanic gardens of Trauttmansdorff are a particularly interesting highlight. 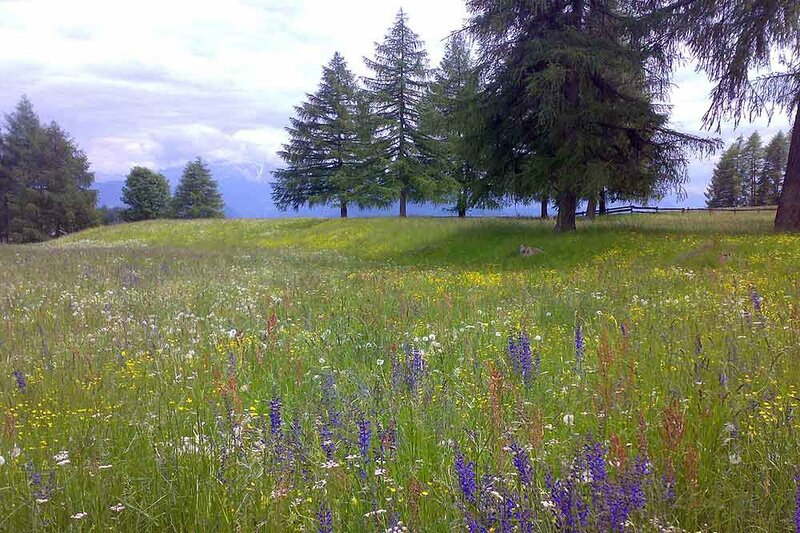 It doesn’t matter if you want to help us with the stable works, if you prefer to admire the wonderful landscape on horseback or take the trekking pole for hiking, San Genesio in summer offers always a variegated program for your holiday. The Salto high plateau and its surroundings are an appreciated hiking area, also loved by mountain bikers. 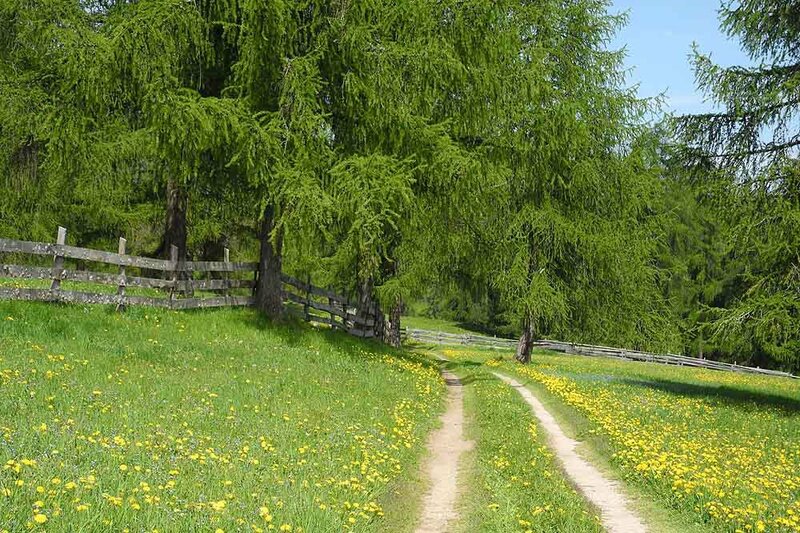 On particularly hot days in summer there is for sure no trail which leads you to the pool in San Genesio, with its wide garden, but it lays at only 3 minutes by car from Wietererhof farm. There you can also play tennis or bowling with friends, enjoying later on the picturesque sunset in front of a rich meal with a good glass of South Tyrolean wine at our farm bar.